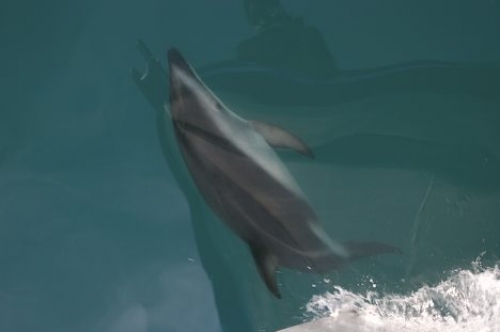 Order your quality tile of "Underwater Dusky Dolphin Kaikoura NZ" now! Photo of a Dusky Dolphin underwater as he makes his way to the surface as seen from Encounter Kaikoura on the South Island, NZ. "Underwater Dusky Dolphin Kaikoura NZ" tile!